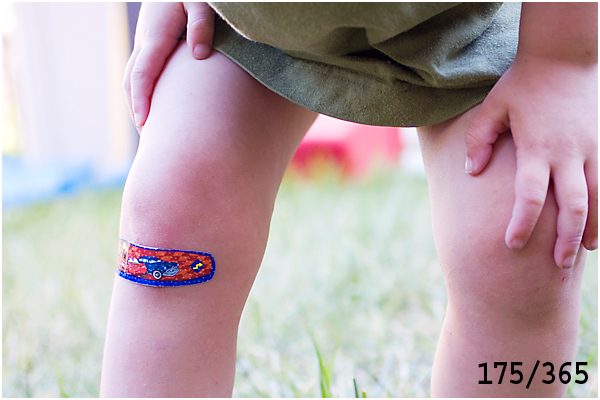 A skinned knee hurts, but it's nothing a CARS band-aid can't fix! It looks like "Cars" is a hit at your house. I like the prior post with the cars. Have you seen the new movie yet? It is on my must see list.